[[Southwest]] announced it intends to purchase ATA, which is bankrupt, with the hopes of obtaining ATA’s rights to 14 slots at New York City’s [[New York LaGuardia Airport – LGA | LaGuardia]]. These slots would permit Southwest to operate up to seven daily round-trip flights at LaGuardia. The move would bring Southwest firmly into the New York City market, as the airline previously served only Long Island MacArthur Airport, some 50 miles outside the city. Southwest’s approach to growth has always been to avoid big cities and their delay-prone airports in favor of secondary options, which are generally less crowded. This allows Southwest to quickly turn around its planes and fly more routes while staying reasonably on time. So despite what seems like a can’t-lose scenario, Southwest is taking a gamble here, albeit a pretty safe one. This is an airline that relies upon timely service, both for its passengers and behind the scenes. Delay problems in New York cannot be understated—each of the big three area airports is regularly among the worst performers when it comes to punctual service—and will present a big hurdle for Southwest to clear. If Southwest hopes to maintain its quick-turnaround style of operation at LaGuardia, the airline has its work cut out for it. That said, Southwest spokesperson Whitney Eichinger, speaking to the AP, pointed out that Southwest has been successful in Philadelphia, where critics thought the airline would run into trouble. Moving to LaGuardia will, however, open Southwest to an enormous population of business travelers—not to mention eight million New Yorkers, some of whom may not have been interested in driving to Long Island just to snag a low Southwest fare. 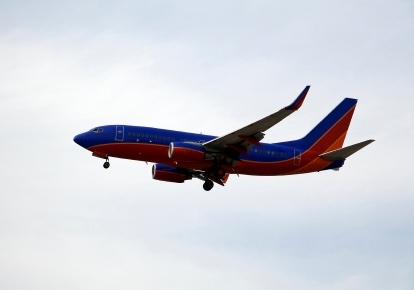 Speculation is that Southwest will fly to Florida and possibly Chicago. If you’re a fan of Southwest and live in New York, I would imagine you’re pretty happy right now: No more long drives out the Long Island Expressway! For the rest, though, the carrier’s entry into New York should signal a new round of competitive pricing, at least on the routes Southwest flies. So yes, in general, it’s a good thing. But whether or not New York is big enough for yet another airline is another matter, and Southwest’s presence could only compound the existing delay problems, creating an overall worse traveling experience. Tell me what you think—is Southwest a good fit for New York? Leave a comment below with your thoughts.